Cause of death: AIDS virus. 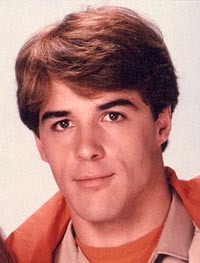 Stephan Burns passed away on February 22, 1990 at the age of 35. Burns died of AIDS related complications. Burns received the AIDS Virus, after receiving an emergency blood transfusion, after a serious automobile accident, in 1984. Stephan pronounces his name "Stef-in." Stephan was nicknamed "Shrimp" in high school. He attained most of his stature between 17-24 years old. Stephan grew up in the small town of Chews Landing, New Jersey. Stephan moved to New York to study theater as soon as he graduated from high school. He worked odd jobs during the day to pay for his rent and the acting classes he took at night. 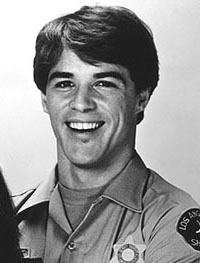 Stephan's auditions eventually led to an offer for the lead role in the national touring production of the Broadway hit "Grease." Stephan moved to Hollywood where work did not come as easy as he hoped. Stephan supported himself by painting apartments. After 6 months in Hollywood, Stephan was offered the role of "Li'l Abner" in the tv special "Dogpatch Today." Stephan wanted to be an actor since he was 5 years old, when he would stay up until three o'clock in the morning watching old musicals on television. Stephan's mother, Sarah, an avid music fan and her collection of old 78 records, inspired Stephan's own interest in Swing music. Stephan comes from a large family. Stephan has two older brothers and three younger sisters. Stephan's parents live in Texas. Stephan had a black and white cat named "Svatch" for company while living in California. One of Stephan's favorite things to do is horseback riding through the mountains of California.